Monday marked the 20th anniversary of one of the worst atrocities in human history—the Rwandan Genocide. On April 7, 1994, a massacre commenced; 100 days later, an estimated 800,000 Rwandans were slain. A commemoration, which was attended by numerous world leaders and thousands of Rwandans, took place in the nation’s capital city of Kigali. President Paul Kagame began the event by igniting the National Flame of Mourning, which will burn for nearly three months as an ethereal emblem of the tragedy. “As we pay tribute to the victims, both the living and those who have passed, we also salute the unbreakable Rwandan spirit in which we owe the survival and renewal of our country,” stated Kagame. To understand why the infamous slaughter occurred, it is crucial to understand the demographics of the African state at the time. There existed two major ethnic groups, the Hutu and the Tutsi, who comprised 85 percent and 14 percent of the population, respectively. For decades the clans were locked in a constant power struggle, a battle that was only exacerbated by Europeans. The conflict took a turn for the worst on the eve of April 6, 1994 when the plane of then Hutu President Juvénal Habyarimana was shot down; the Hutu Power Movement of the time accused the Rwandan Patriotic Front, a Tutsi-led political party, of orchestrating the assassination. The killing was carried out brutally and systematically—no one was spared. Tragically, it commenced without interference from any world power. 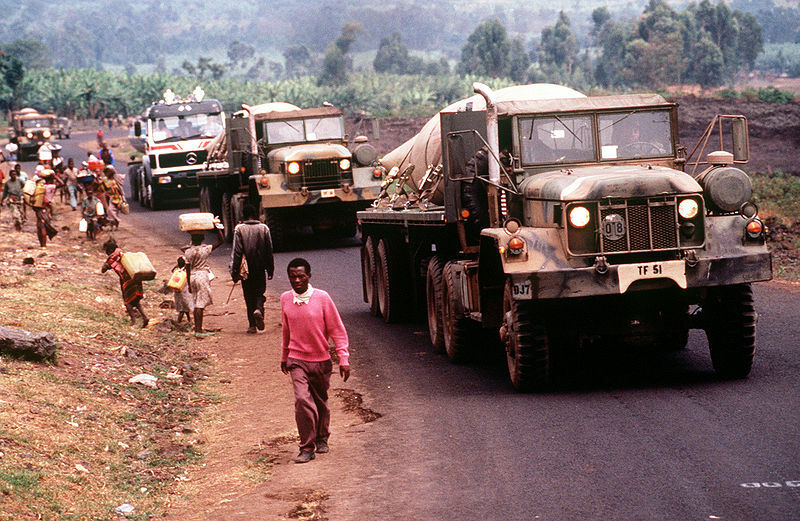 After nearly three months of bloodshed, the genocide finally concluded when the Rwandan Patriotic Front overthrew the Hutu regime and took control of the country. Paul Kagame, the leader of the organization, eventually became head of state. Under his rule, Rwanda has significantly progressed despite the grisly events of 1994. It has been dubbed the safest place to live in Africa; moreover, Rwanda has experienced rapid economic growth, the life expectancy has doubled, and it is self-sufficient in terms of food supply. Rwanda serves as a prime example of resilience in the face of adversity. While it continues to honor the memory of the lives lost twenty years ago, it is also taking steps toward a successful future.